By sending Money Order/Electronic Money Order (EMO) to Shiv Om Sai Prakashan, Regd. 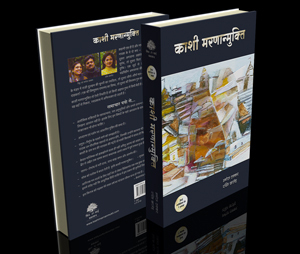 Office : 23-24 Dhenu Market, 1st Floor Shri Krishna Chambers, Indore-452003 and sending an email on info@shivomsai.com confirming your address and contact details where the book is to be delivered. Pay cash after the book is delivered through Registered Post or a reputed courier service at your doorstep. Pay online using your debit/credit cards, net banking, cash cards, etc. through our safe and secure payment gateway. The payment is to be made at Rs. 360 per copy. Free Home Delivery within India, Postage and Forwarding charges shall be charged extra for International Orders. The book shall be delivered by Government Registered Speed Post or through a reputed Courier Service immediately on receipt of payment. COD payment option is available only if the delivery address in within India. Books shipped through courier services should typically be delivered within 5-6 Business Days across India but may take longer when the books are shipped through Registered Post.